Do You Want Your Swagtron SwagDrone 150-UP To Look Different Than The Rest? You're in the right place because we've got exactly what you're looking for! This Star Power skin is the perfect way to show off your gear! Or with hundreds of other MightySkins designs, you can be sure to find one that you'll love, and that will show off your unique style! Do You Want To Protect Your Swagtron Home? With MightySkins your Swagtron Home is protected from scratches, dings, dust, fingertips, and the wear-and-tear of everyday use! Cover your Swagtron Home with a beautiful, stylish decal skin and keep it protected at the same time! Be sure to checkout our install guide on Youtube for a step by step guide to putting on your new skin. • Swagtron SwagDrone 150-UP is not included. 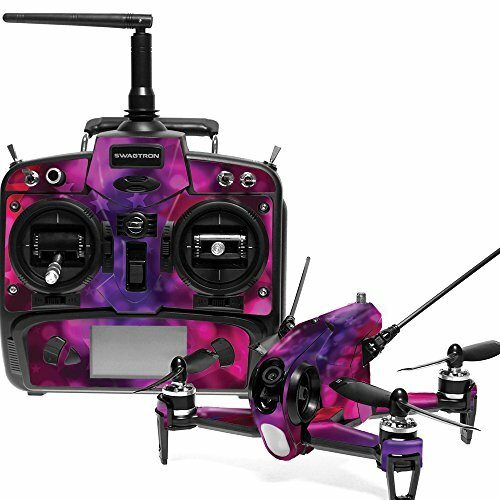 FLY IN STLYE: Show off your own unique style with MightySkins for your Swagtron SwagDrone 150-UP! Don't like the Star Power skin? We have hundreds of designs to choose from, so your Swagtron Home will be as unique as you are! GOES ON AND COMES OFF EASY: Apply your MightySkins vinyl decal easily & with precision on your Swagtron Home thanks to a patented low grip air release adhesive that's built to last but removes easily and leaves no sticky residue when you're ready to switch to a different design! Grafco 3792GF X-Ray Illuminator, 1 Bank, 17.3" x 22.8" x 4.7"